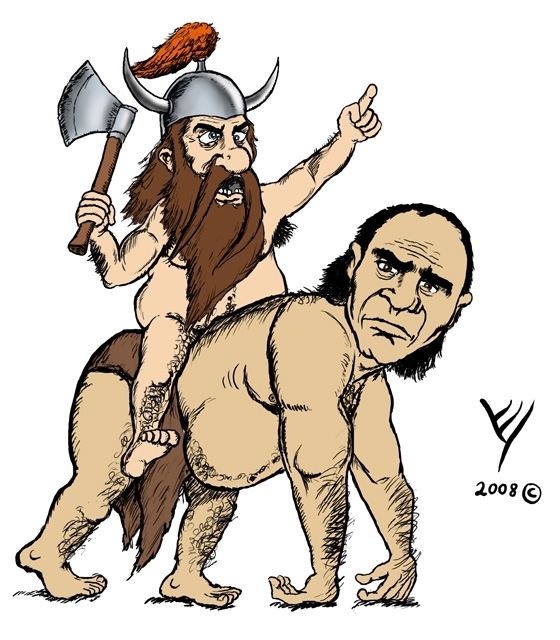 This is a silly cartoon of a crazy ax-wielding dwarf riding a hairy Ogre. It was drawn for an online cartoon challenge. Like this cartoon? I’ll draw your personal D&D;, Warcraft or any other RPG character you ask me, in the same style, for an affordable price. Click here for more information. This entry was posted in Uncategorized and tagged Fantasy Art, Fantasy Cartoons by Idan. Bookmark the permalink.